Rainwater harvesting is one of the simplest and oldest forms of supplying water for human usage. For the gardener and farmer collecting rainwater from a rooftop or other surfaces could be a game-changer in areas where access to water is not already available. Rain barrels are an easy way to get started with rainwater harvesting and can be used in urban, suburban, or rural settings. 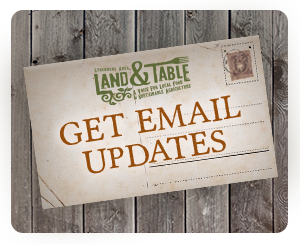 Join us Tuesday, July 10 (5 – 8pm) at Local APX Market for the next monthly Appomattox Land and Table gathering. We will enjoy an open community potluck and will be discussing how to get started with rain barrels and rainwater harvesting. 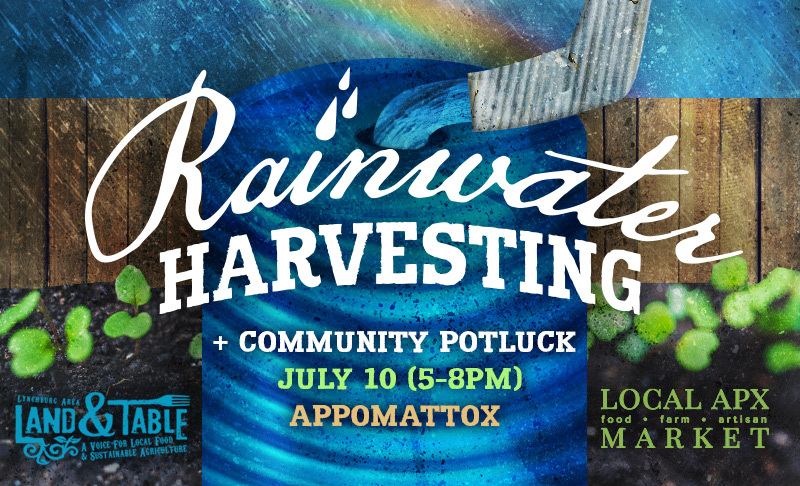 We will end the gathering by viewing an onsite rain barrel installation a few minutes from Local APX Market. Come at 5:00 for networking. Eating starts around 5:45.